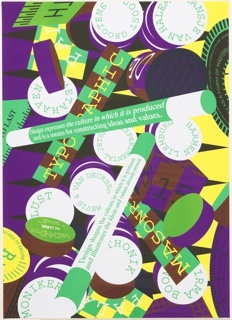 See more objects with the tag graphic design, pattern, posters, event poster, handwriting, cut and paste. See more objects with the color darkslategrey crimson lightslategrey dodgerblue brown or see all the colors for this object. This is a Poster. It was designed by Felix Pfäffli. It is dated 2013 and we acquired it in 2014. 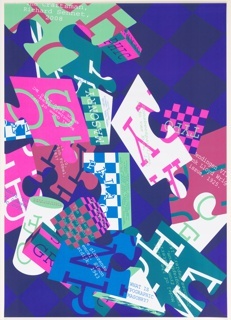 Its medium is offset lithograph on paper. It is a part of the Drawings, Prints, and Graphic Design department. 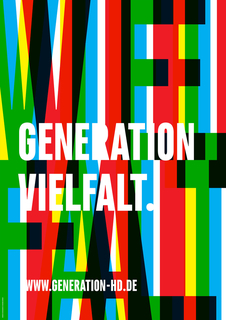 When Felix Pfäffli was asked to design a poster for Lucerne’s 2013 Weltformat Poster Festival, he says he grappled with the "strange duplication" of creating a poster to promote a poster show. Weltformat resolves this dilemma by contextualizing posters as objects in a specific place and time. The composition pictures multiple posters, layered on top of one another as if pasted onto a wall. 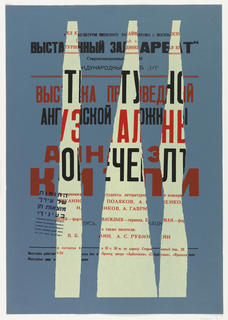 Each is itself a "strange duplication": a simplified version of an older Pfäffli poster. 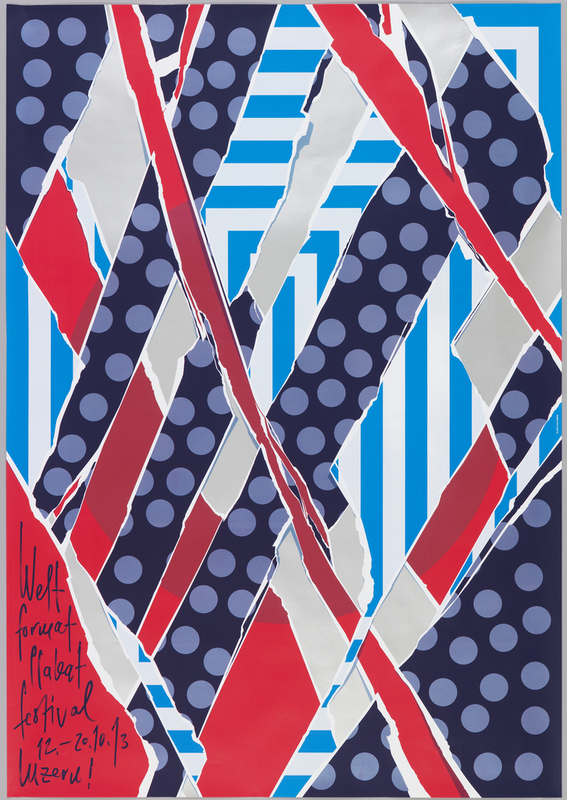 The view of the posters is fragmented, as every design is visible only through the holes and tears of other layers Pfäffli recreates the appearance of weathered posters in the street. This counterintuitive approach is deliberate. He perceives "a fight between my posters and all the other ones," and explains, "[e]verybody tries to make a clean, beautiful poster. So I designed one that is already destroyed." 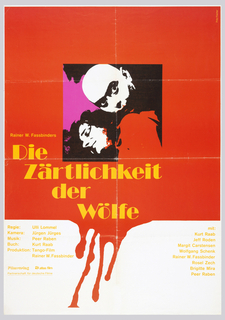 Though Pfäffli simulates destruction, the surface of his poster is pristine. 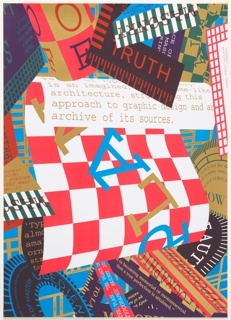 Rather than distress the poster by hand, he reproduces the effect digitally, in a medium liberated from the "surprises and accidents" of manual design. When displayed in public, Weltformat functions like a trompe l’oeil. Metallic silver ink is used in sections of the background to mimic the steel walls where posters often hang in Switzerland. Pfäffli recalls receiving emails from passersby who were tricked by the illusion. He enjoys confounding his viewers, and generating the "déjà vu effect" of counterfeit reality. This object was featured in our Object of the Day series in a post titled All Torn Up.